Kudos to Laser Induced Breakdown Spectroscopy (LIBS)! 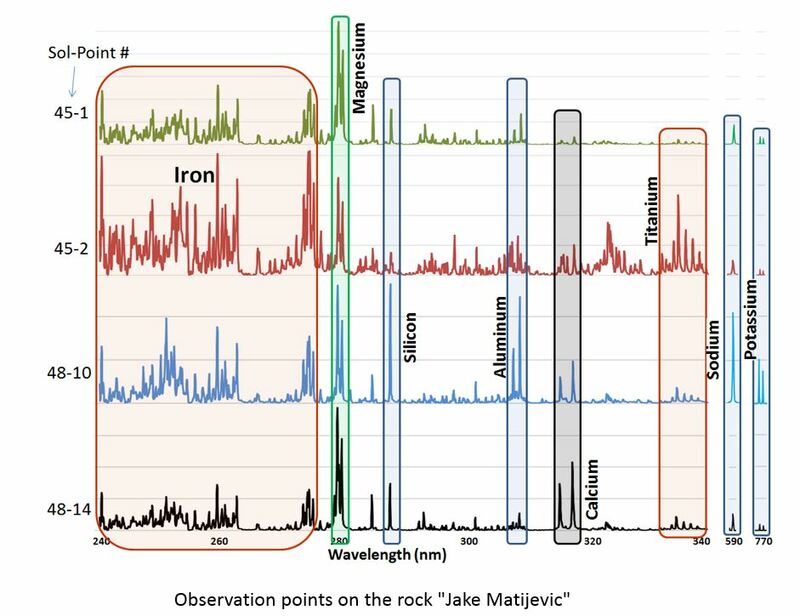 LIBS, powerful spectroscopic technology for elemental analysis, has done something that no other technologies have done before – land on Mars and help the Earth understand the chemical composition of the rocks, minerals, and soil of another planet. LIBS technology has been deployed on Mars aboard of the Mars Science Laboratory Rover Curiosity since August 2012. The LIBS instrument, named ChemCam, consists of several integrated modules. ChemCam’s laser, telescope and remote micro-imager are mounted on top of the mast as part of a sophisticated package that also includes a stereo pair of navigation cameras and two science imaging cameras with different focal lengths and color filters. ChemCam’s three-channel optical spectrometer, CCD detectors, digital processor and electronics are located inside the rover body. ChemCam has been highly successful on Mars since its first LIBS spectrum acquired from a fist-sized rock named “Coronation” on August 19, 2012. Since then LIBS has worked for more than 2 hours on every other Mars day (sol). By now, Curiosity has acquired almost 200,000 LIBS spectra from about 1,500 individual target locations. ChemCam is designed to perform rapid elemental analysis of rocks and soils remotely within a nominal distance around the rover of 7 meters. 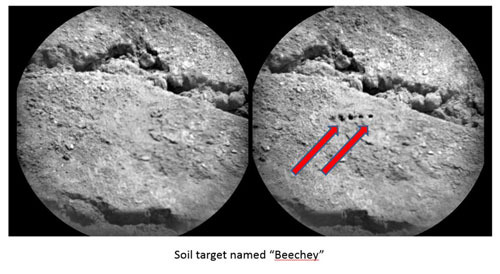 The remote characterization capability of LIBS has been used for the direct analysis of a plethora of samples without the need to move the rover. It also serves to identify interesting samples for further investigation by contact and ingestion instruments. For the latter, the rover must drive toward the target to position itself in a close proximity, within a range of its articulated arm. Accordingly, the ChemCam data facilitates operational decisions of where the rover should be driven. ChemCam can take thousands LIBS spectra per day, thus making chemical analyses on the surface of Mars with unprecedented speed. Due to the simplicity of its remote operation, ChemCam has become the most frequently used chemical instrument on the rover. In contrast, difficulties of mass spectrometer operations on Mars have been dreadful. The Phoenix spacecraft struggled for several days to enter a sample into its mass spectrometer oven. Curiosity’s mass spectrometer SAM can analyze only 68 samples within its entire lifetime because the sample manipulation system has limited number of quartz cups for sample introduction. 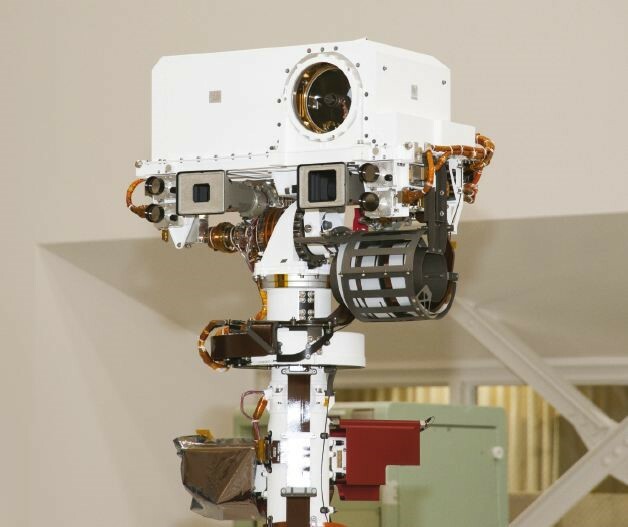 The latest software update that Curiosity received from JPL will enable ChemCam to autonomously select and prioritize target samples, and to acquire LIBS measurements of them without any human command or interaction. This will certainly enhance the already great potential of LIBS for planetary exploration as well as in general for future terrestrial applications. Analyzing real samples with LIBS on Mars requires multiple laser pulses. The first pulse usually returns the spectrum of the surface dust. Mars dust is highly mobile, omnipresent and generally uniform in composition everywhere on Mars. Therefore, the selected emission lines in the Mars dust spectra have been used as a proxy spectroscopic standard to correct ChemCam spectra for differences caused by target range variations. Usually, the dust is fully removed by the first 5 pulses. Then a clean, dust-free target is investigated using multiple laser pulses to collect spectra for depth profiling and statistical analysis. ChemCam’s focused laser beam (300‒550 μm in diameter) enables targeting of both large and very fine-scale geological features. ChemCam has the smallest analytical spot size among all other planetary chemical instruments, allowing individual mineral grains to be observed for the first time. At the same time, rasterizing LIBS measurements over the sample surface provide data for comparison to other instruments with larger analytical footprints. LIBS on ChemCam identified multiple igneous rocks with mafic or felsic minerals. The analyzed soils were found to have local variations and original signatures resulting from the mixing of particles with different sizes and compositions. A composition range of major oxides (SiO2, TiO2, Al2O3, FeO, MgO, CaO, Na2O, K2O) measured by LIBS on Mars stretched approximately from 1 to 60%. Minor and trace elements included Li, Rb, Sr, Ba, Cr, Mn, Ni, and Zn in a range from a few ppm to 0.1‒1 wt%. They were quantified using emission intensities of the respective metallic elements. ChemCam also found hydrogen, and nonmetallic elements C, O, P, and S. Halogens (F, Cl) were observed through their molecular bands. Currently on Mars, Curiosity carries on investigation of geological layers of lower Mount Sharp and will continue to climb up the mountain. More LIBS data from ChemCam will certainly be obtained and analyzed. Meanwhile, at least two more Mars missions with LIBS on board are being planned: the NASA Mars 2020 and the ESA–Roscosmos ExoMars 2020. These exciting developments will ultimately result in similar LIBS systems designed for practical applications on Earth. Since its first demonstration in 1964 based on a bulky, Q-switched ruby laser, LIBS technology has advanced a long way. Today, based on compact and reliable lasers and spectrometers, LIBS has become a routine elemental analysis technique for a wide range analytical applications that include metal, plastic, soil, energy storage material, thin film, nuclear material, and forensic sample analysis. Here on Earth, J200 LIBS instruments from Applied Spectra, Inc. are delivering fast, reliable, and high precision elemental analysis in many commercial laboratories.